This lavishly illustrated volume offers a compelling look at the life and ways of this talented artist. A man selected by the Texas State Legislature as the State Artist of Texas. This intimate and revealing study follows a day in the life of this superb artist. Along the way, the reader is greeted by a virtual treasure trove of DeHaan art past and present. 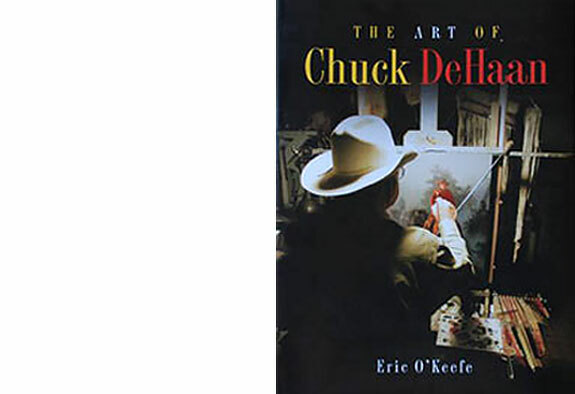 From superb fine art to magazine cover illustrations, never-before-seen photographs to many personal items and ephemera, The Art of Chuck DeHaan is a comprehensive tableau of the life of this talented painter.